Office buildings come in all shapes and sizes. From small 200o sq/ft buildings to 25,000 sq/ft office parks we have a market. Our team of building insurance specialists will help you to determine the correct limits of California Office Building Insurance while providing you with the lowest rates in the market-place. Do you have a current agent? That’s ok, we would still like the opportunity to provide you with a proposal. Every agent should regurlalry shop your CAlifornai Office Buildign Insurance and we do just that. Every year we will examine your policy and quote with our carriers to ensure that you have the lowest rates possible. From office building or equipment damage to employee injuries onsite, you need to know you have the coverage you want when the unexpected happens. 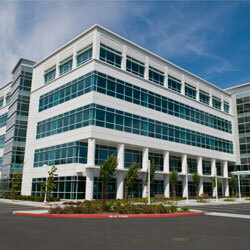 Office Building Package enables you to choose tailored coverage to meet your insurance needs. Be prepared for the unexpected, whether a fire, hail or other unexpected event causes damage to your commercial real estate property and forces you to close your doors. Insurance coverage for your business in case of accidents, mistakes or injuries that may occur on your property, including slip and fall accidents. Insurance coverage for your business to help you with losses resulting from wrongdoing like theft, employee dishonesty or depositor’s forgery. Business commercial property insurance can protect your business from a minor hiccup to a major financial loss. Whether you own your building, lease your workspace or work at home, business property insurance protects your business’ physical assets. A fire could destroy your building and the contents inside. A burst water pipe could damage your documents, drawings or other valuable papers. A storm could damage your outdoor sign.